So here I have a total of 3 coats each, layered with no top coat. 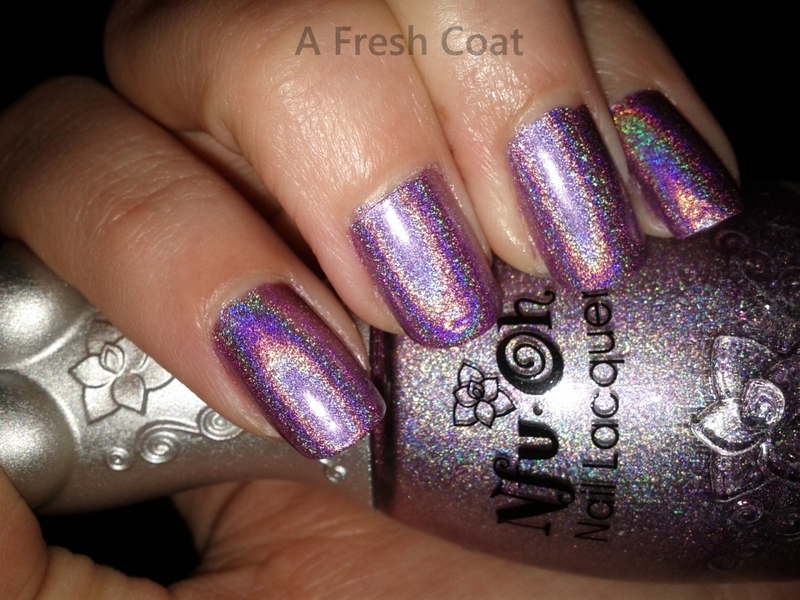 After, I did use Seche Vite, which overall does slightly diminish the holographic look. BUT, it does help make the polish last because it chips very fast! So if you are going for a one night look don’t use top coat. 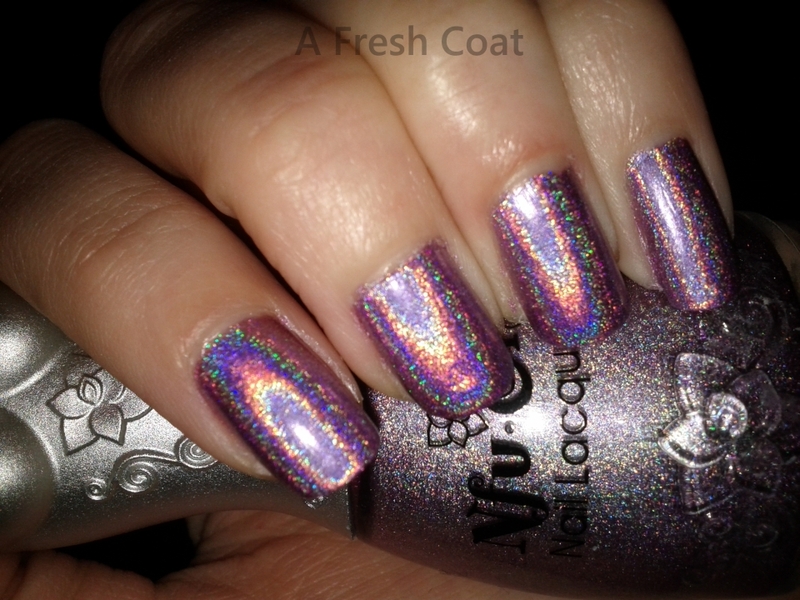 If you are going for a longer lasting look, use the top coat. Also, I just want to note that I did find this polish to be extremely fast-drying, which meant I had to work extremely fast. It’s tricky to put on without getting chunky polish everywhere. I will post the other five polishes in the set for you to see in the future, so look forward to it!